Four months after three men were jointly charged and remanded to prison for the murder of popular market vendor, Troy Ramalho, a fourth man was, this afternoon, arraigned for the offence. 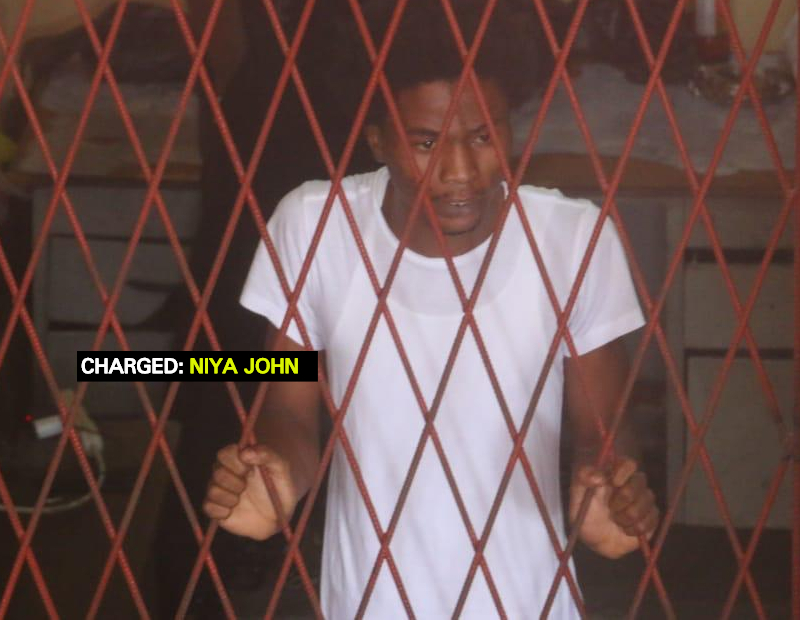 Niya John, 20, a vendor at Stabroek Market, appeared before Chief Magistrate Ann McLennan in the Georgetown Magistrates’ Court, where the murder charge was read to him. He was not required to plead to the indictable offence, which stated that on August 15, 2018, at Robb Street, Bourda, Lacytown, Georgetown, he murdered Troy Ramalho during the course of a robbery. Attorney-at-law, George Thomas, who is representing John, told the court that his client has an alibi to support his whereabouts on the night Ramalho was murdered. The lawyer asked that statements be disclosed in the matter as soon as possible. John was remanded to prison and instructed to make his next court appearance on January 18, 2019. Already charged with the offence are Akeem Morris, 26, of Sandy Babb Street, Kitty; George Paton, 34, a taxi driver, of Eccles, East Bank Demerara; and Royce Sandiford, 33, a labourer of A Field Sophia. The Preliminary Inquiry (PI) into their matter is currently being conducted before Chief Magistrate Ann McLennan in the Georgetown Magistrates’ Courts. According to reports, Ramalho was shot and killed while plying his trade at Bourda Market, where he sold cheese and eggs. It was reported that two bandits, one of whom was armed with a gun, pounced on Ramalho. It was reported that police, acting on information, were able to arrest Paton. It was while in custody that Paton allegedly admitted to transporting the bandits responsible for killing the market vendor. Ramalho was known to always be wearing lots of gold chains. He was wearing several pieces of jewellery on the night he was shot and killed. He was on a bench at his business place and had just finished selling a customer when the men walked up to him and shot him. An unconscious Ramalho fell to the ground and was later rushed to the Georgetown Public Hospital Corporation (GPHC) where he succumbed to his injuries.